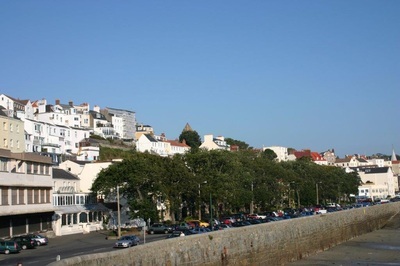 This Crown Dependency with French street names is a member of the British Isles though not the United Kingdom. It drips with history - 7000 years worth! and oozes olde-worlde English charm with more than a judicious smattering of French flair. 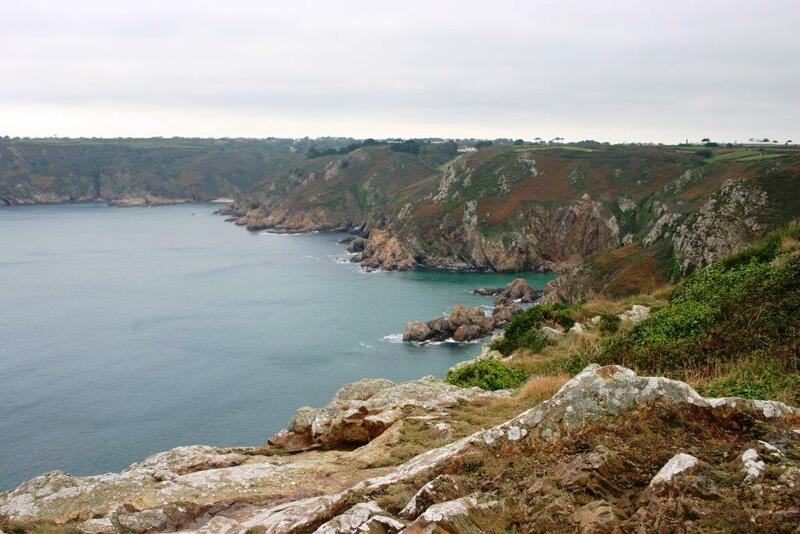 The second largest of the Channel Islands, though a mere hop from the UK, is a world apart. Rustic French street names sit proudly above blue British post boxes; granite farm houses with tiny front doors are guarded by overgrown Second World War German pill boxes in an intriguing mish-mash of European influences. It all adds up to an eccentric delight. The island is only 24 square miles, so everything is within easy reach and low duty on petrol means car rental is popular with visitors. When driving round the island, remember the speed limit is 35mph and parking everywhere is free. If you prefer to hop on one of the new fleet of green and yellow buses, all journeys cost just 50p. Feeling energetic? Hire a bike. 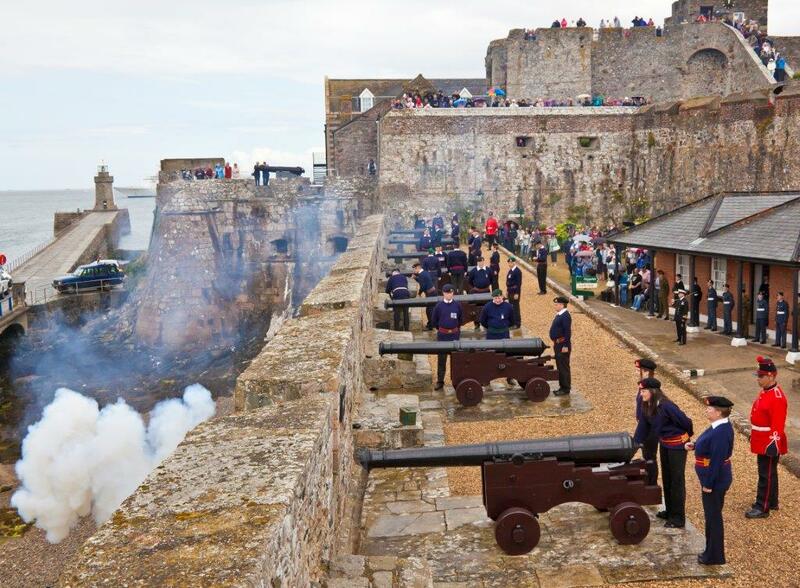 Throughout Guernsey you will see evidence of a fascinating past, from medieval castles, forts and watchtowers to Hitler’s Atlantic Wall. Not surprisingly, all this history colours the atmosphere today. In 1940, Hitler’s forces invaded the Islands and the Occupation of the next five years was a time of restrictions, isolation, censorship and dire food shortages. The German Occupation Museum features military memorabilia and an authentic street scene, while slave workers of many nationalities hewed out of solid rock the German Military Underground Hospital, largest construction on the Islands. 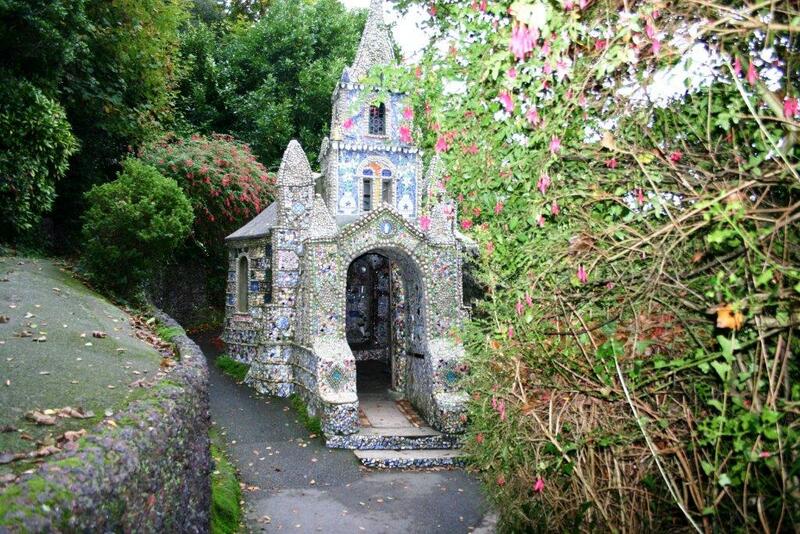 Well worth seeing is the Little Chapel of St Andrews, charming creation of a Benedictine monk, Brother Deodat. He re-created a scale model of the Basilica at Lourdes and decorated it inside and out with seashells, pebbles and colourful pieces of broken china. There is only space for the priest and perhaps five people, quite possibly making this the world’s smallest church. 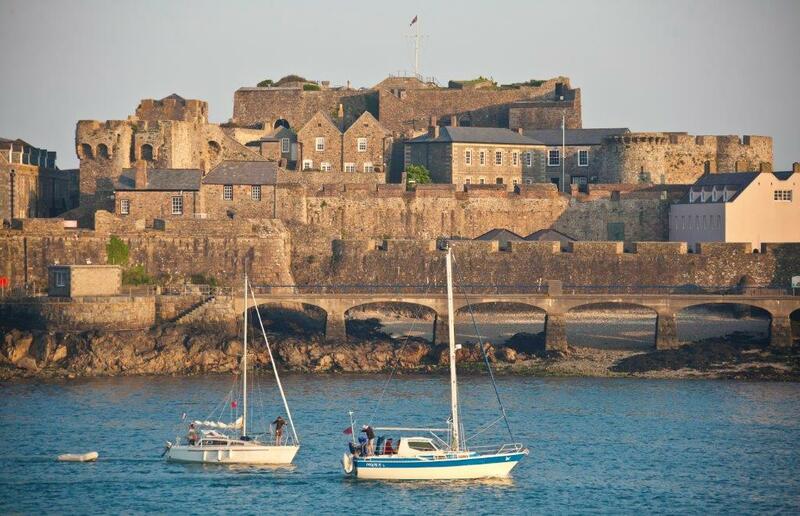 Another must-see attraction is the well preserved 13th century Castle Cornet, built on a tiny islet off St Peter Port. The castle used to be home to the island’s Governor and his family. During the last throes of the English Civil war, it was the last remaining Royalist stronghold and in 1672, an explosion in the gunpowder store blew off the top of the tower and the Governor’s wife was killed. Today there are several museums within its precincts including an excellent maritime museum featuring Guernsey’s colourful maritime history. There are beautiful gardens to waft round too but bear in mind the ear-splitting canon which is set off every day at noon by costumed soldiers. St Peter Port, the capital, is a higgledy-piggledy jumble of cobbled streets, furtive alleyways and quirky shops that will gladden your heart. It rises majestically from its picturesque harbour to keep a protective eye on Guernsey’s sister islands of Sark, Alderney, Herm and Jethou. 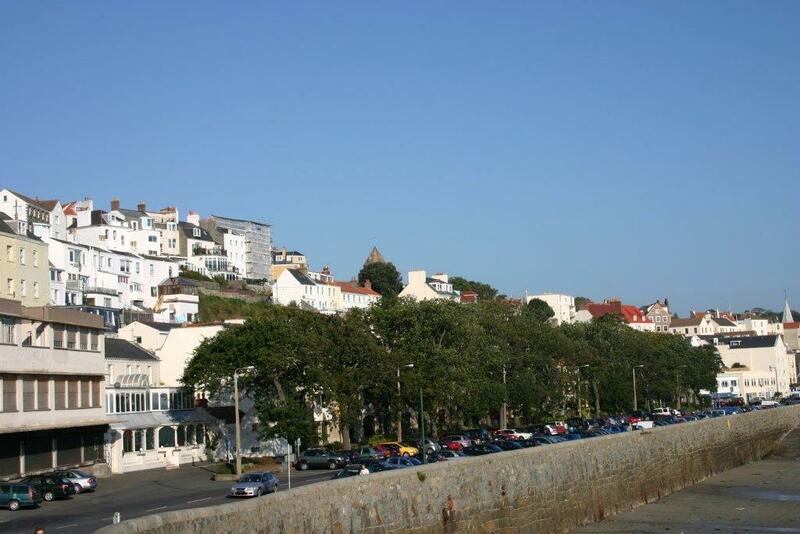 The town gained instant fame in 1855 when exiled Victor Hugo made his home at Hauteville House. He spent 15 years there and during that time was inspired to write three novels, the most enduring of which is ‘Les Miserables’. 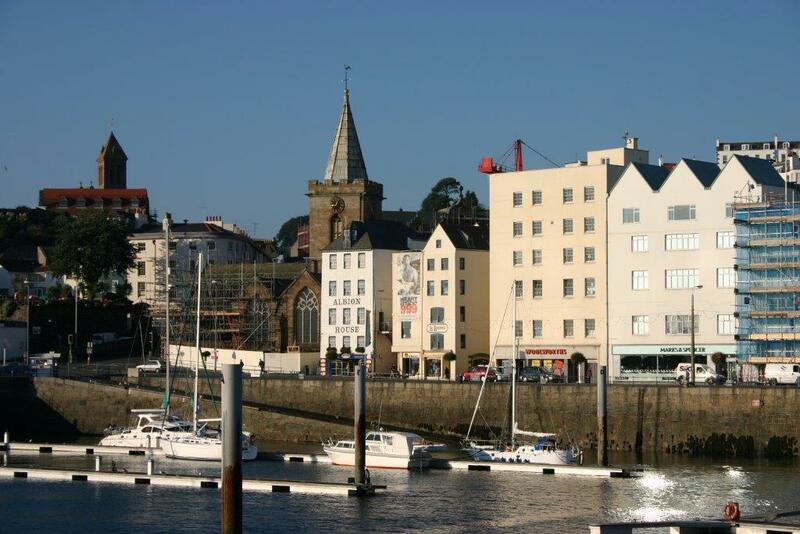 He was obviously delighted to be in Guernsey, describing it as ‘the rock of hospitality, this corner of old Norman land where the noble people of the sea reside.’ Renoir also thought it was delightful and found it the perfect paradise in which to paint a number of his masterpieces. Foodies will be pleased to know that everywhere you go in Guernsey you’ll enjoy fantastic fare. Don’t leave the island without sampling ‘bean jar’, a deliciously more-ish rich stew; or ‘gache’, pronounced ‘gosh’, the local finger-licking fruit loaf traditionally eaten smothered with rich golden Guernsey butter. Gâche Melée, an alluring local apple cake also makes your heart sing. And you just have to savour a bumper bowl of seriously fabulous ‘moules’ the freshest you’re likely to find. Add to that friendly locals, spectacular scenery, inexpensive car rental and cheap petrol and you’ll wonder, as I did, why it took you so long to visit.